Welcome to Nifty Nindies, our bitesize feature for Miketendo64 where we catch up with an indie developer/publisher/publicist to briefly go over an upcoming Nindie title that Switch owners can look forwards to. What is it? Putty Pals. Who is behind it? Harmonious Games. What is it about? 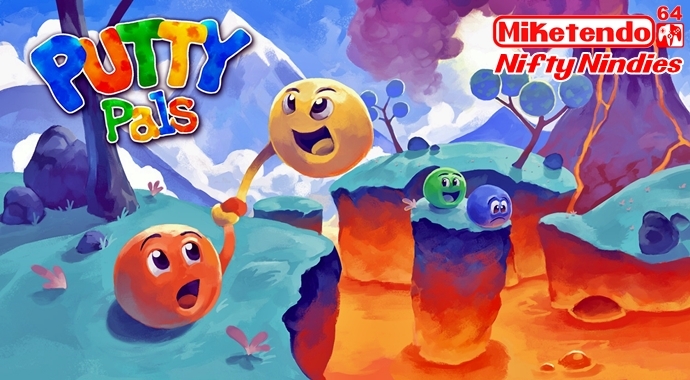 Putty Pals is a colourful, bouncy and squishy cooperative two-player platform puzzle game challenging two players to communicate and solve problems together. Players must guide two cute brightly-coloured balls of putty through over thirty levels of obstacles and hazards in a vivid cartoonish world. When can we hope to see it in the eShop? 18th of October, 2017.